By now, you’ve probably seen how live content gets pushed to the top of every stream on your social media feeds. You probably even get push notifications on your apps when someone goes live. It’s not a coincidence, but more of a calculated effort from companies like Facebook, Twitter, YouTube, and Twitch to be the leaders of a space that is still in its infancy. 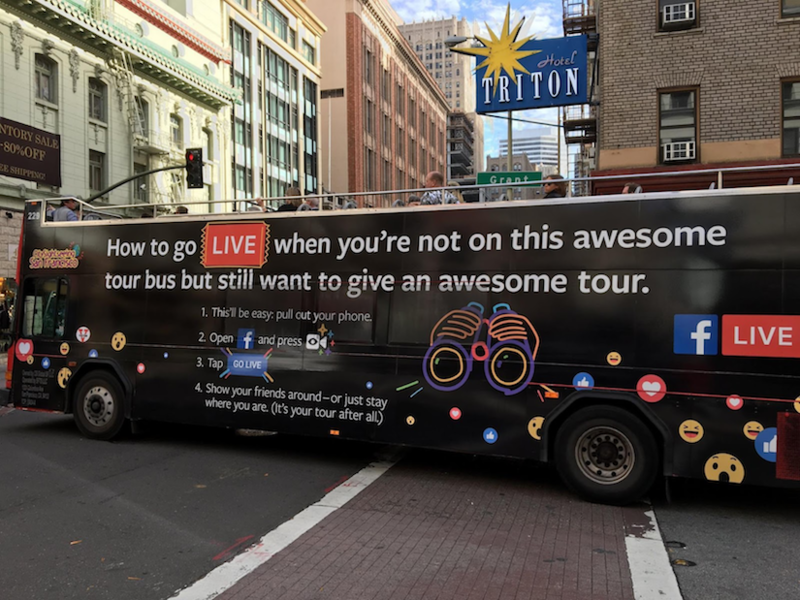 Facebook even took to the streets to teach people how to go live on buses, transit shelters, billboards, and TV ads! While tech companies have focused on getting their users to go live, they know that the eventual play is to gain that almighty advertising dollar. Almost every brand already has a video marketing strategy, and many have begun to test live stream marketing. Early adopters of new tech mediums have often been rewarded with followers and media attention, even though their content has typically had very little production value. Ask yourself, could “Charlie Bit My Finger” on YouTube be a viral hit today? After documenting the early efforts of live stream marketing from all brands and industries, I began to notice a trend amongst the video efforts of those that had the most success, based on views and engagement. 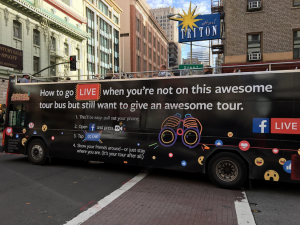 In this blog, I’ll share 12 tips that brands should incorporate and consider in their live stream marketing campaigns to succeed in this new landscape. You should have a bullet-pointed agenda of what you want to cover and in roughly what order, that reinforces your objective. Scripting out too much of your live stream dialogue often leads to a robotic presentation with unnecessary pressure. When Dunkin’ Donuts went live to create buzz for their free donut giveaway on National Donut Day, they loosely showed viewers how to make donuts by taking them through their test kitchen. 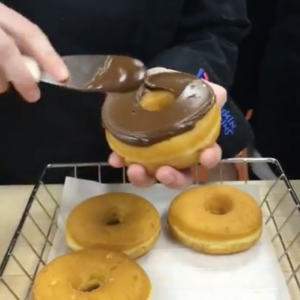 This allowed Dunkin’ to create a casual environment for users to engage with the brand. During your live stream, make sure the host/presenter shows the viewer and demonstrates. This is more powerful and visually interesting than simply telling the viewer information because it allows the camera to follow the action, which keeps the audience engaged. Your live stream does not have to live in anyone else’s shadow. Unlike scripted television series, you don’t have to have 21 minutes of pre-recorded storyline or as with commercials—15 or 30 seconds to get the point across and sell, sell, sell. Dunkin’ Donuts went 12 minutes. DJI went one hour and 17 minutes. Be efficient, but don’t pressure yourself to stick to a certain timeframe. What concert have you been to that starts on time? Or NBA Finals? Super Bowl? If you’re at a concert, you’re typically looking at a 30-minute delay. At sporting events, 10 minutes is common practice. These delays allow stragglers to get settled and builds anticipation for the main event. 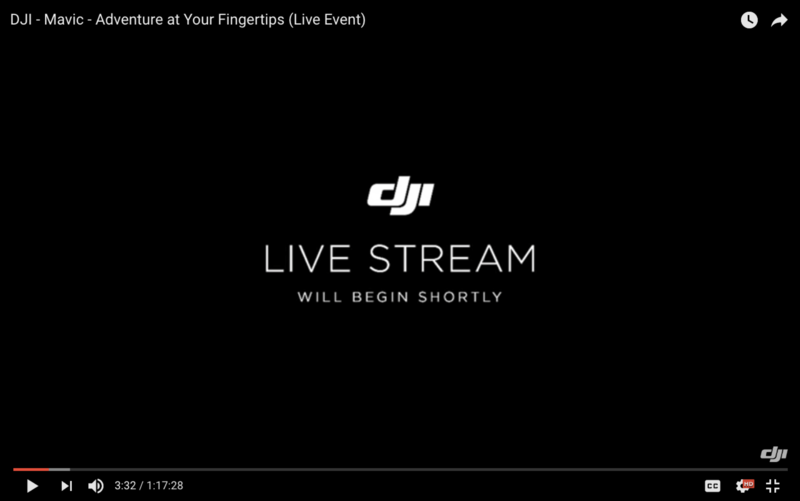 Leave a graphic up for 5 – 10 minutes with something as simple as, “Live Stream will begin shortly,” which is what DJI did for the launch of their Mavic Pro event. Caveat: Know your audience. If they are a prompt group of people, this may not work—but you won’t know without testing it. What good is a live stream event if your biggest fans aren’t in the know? Send an email, post on your social accounts, and keep posting. For the announcement of Game of Thrones’ Season 7 premiere date, HBO announced a live stream event, for which they burned a block of ice to reveal the date. Even before the event, they teased it with a short 12-second video earlier that day. If you go through all the trouble of planning out a live event with multiple moving pieces, wouldn’t you want to gain new potential customers? People who are subscribed to your YouTube channel, or “Like” your Facebook page, may get a push notification that you’re going live, but what about everyone else that may be interested? Amplifying allows your live stream to go live on all your social channels, while also serving your live stream as a native ad placement on relevant publisher networks and through social media influencers to garner more viewers to your live stream. People have the world at their fingertips when it comes to on-demand entertainment. Offer an incentive for why they should tune in to your live stream. Maybe that is a raffle, reward or loyalty points, or a sneak peek at some exclusive content. Don’t forget that sometimes you have to give something to get something. This old television journalism mantra encourages on-air reporters to pare everything down so it is easily digestible by a wide audience segment. Sometimes it’s not in the best interest for a topic expert to tell a story to the masses. They have a tendency to be too close to the subject, which makes it difficult for them to succinctly explain to someone who may know nothing of the topic. Aim for easily consumable content. There’s a reason talk shows—radio, web, or television—are so engaging; They have guests! Each guest is a surprise element to an otherwise mundane, one-person setup. A new face and voice can lend credibility, fresh interaction, and expertise. Look for guests that are complimentary to your business—like partners, or look at the influencers in your space and invite them to participate. Ask for comments and questions in the comments section. 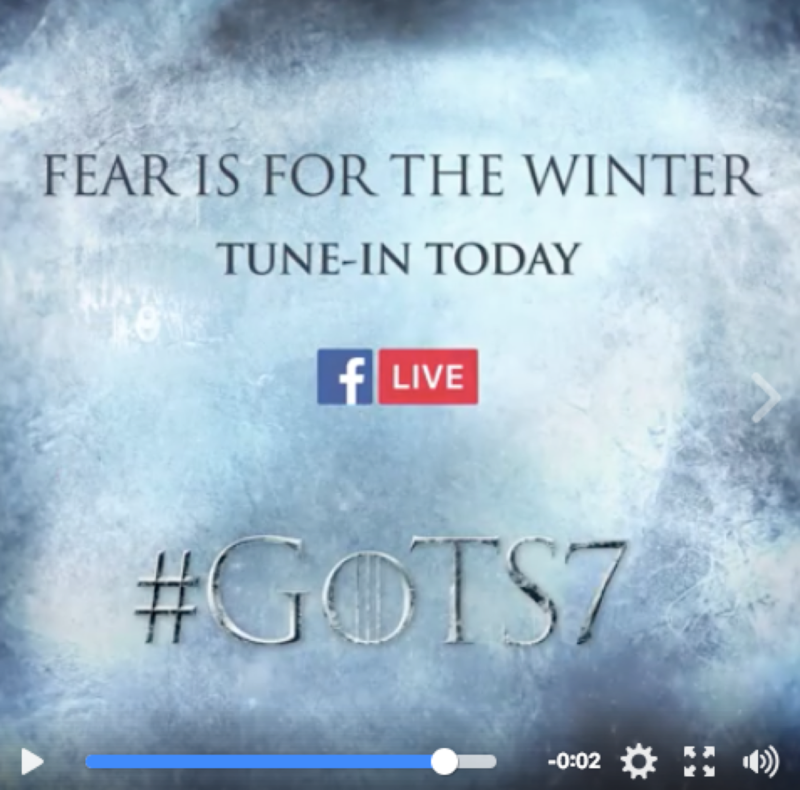 For Facebook, this helps a live stream show up on 3rd party user’s newsfeeds. 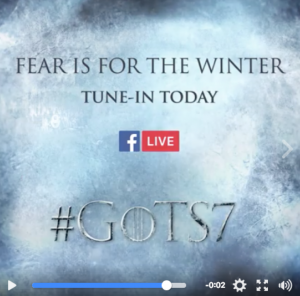 During Game of Thrones’ live stream, they encouraged viewers to comment with “Fire” or “Dracarys” to help reveal the season premiere date, which pushed users to generate the activities needed for virality. Asking for comments and questions doesn’t just need to happen at the beginning or end, remember in live video viewers jump in and out of watching it. Invite people to comment or ask questions a few times throughout your stream. Don’t end a live stream without telling the audience what they should be doing next. Whether it’s the release date of a product, how to claim their offer, or teasing/inviting them to the next live stream—always offer direction. Just because a live stream event is over, doesn’t mean your work is done! 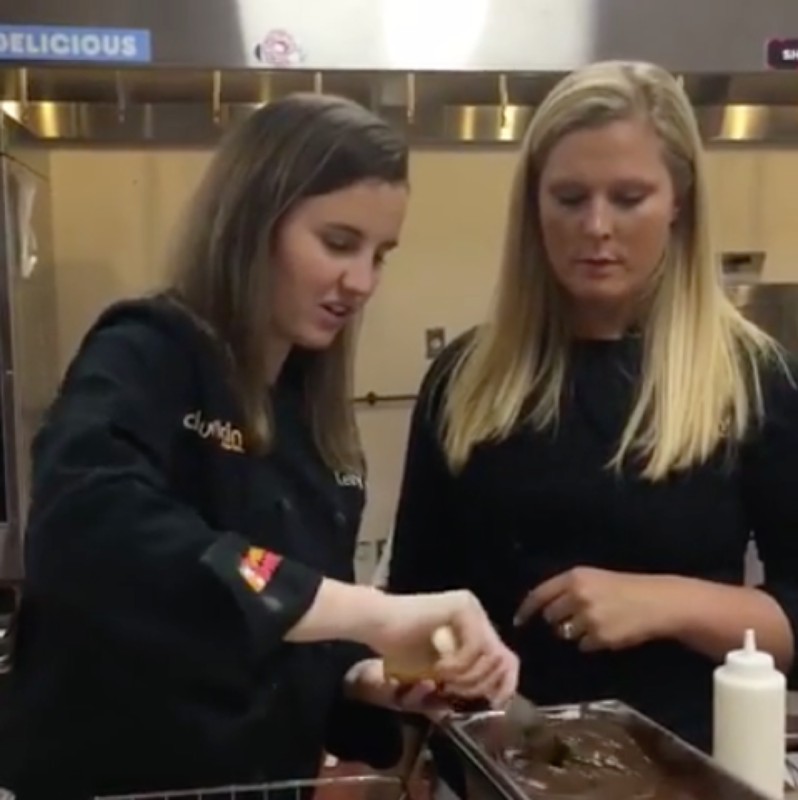 Go over the analytics and metrics, look at where you experienced peak viewership and engagement, how could you have positioned the camera better for higher quality image and sound, or prepped your guest? Then apply your learnings in your next live stream event plan. A live stream event does not need to be a huge production. Many of the campaigns I’ve seen documented were as simple as watching a professional athlete sign a contract (Adidas), touring a company’s closet (DKNY), and even seeing how many rubber bands it would take to explode a watermelon (courtesy of Buzzfeed). The important thing is for brands to take advantage of the immediacy and intimacy that a live stream brings. Fans and followers are eager for content, which tech companies already know is the next big thing. They’re just laying the groundwork until advertisers and brands catch on. 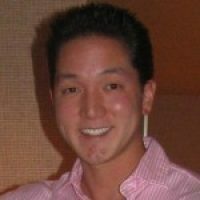 I’d love to hear about your successes and failures with live streaming. Whether it’s your first time or your 100th, we can always learn from each other.